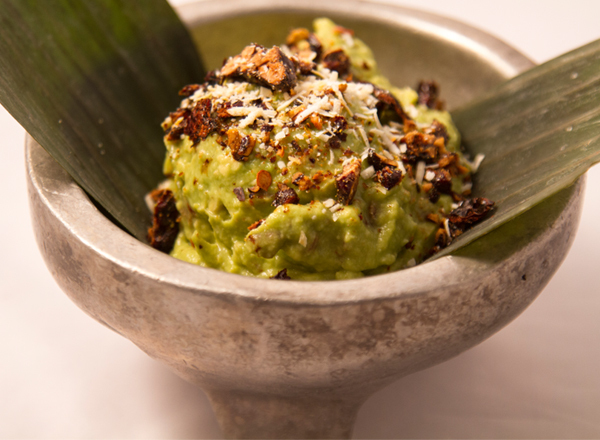 Seasonal Guacamole Toasted pecans, morita chile, grilled white onions. 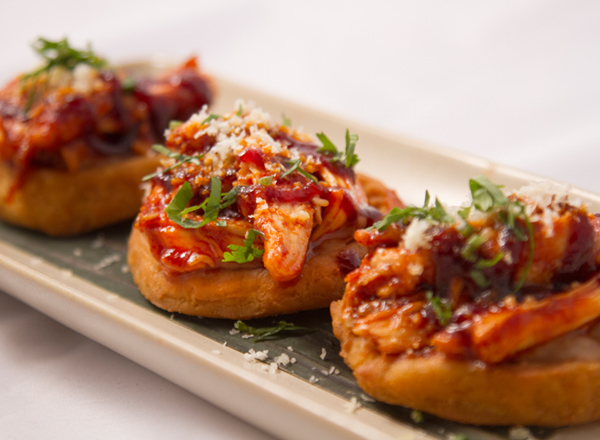 Smoked Chicken Garnachas Crispy boats of corn masa & sweet potato, smoked chicken, sweet & tangy guajillo sauce, creamy frijoles maneados (ancho chile, Amish cheese), dry Jack cheese. 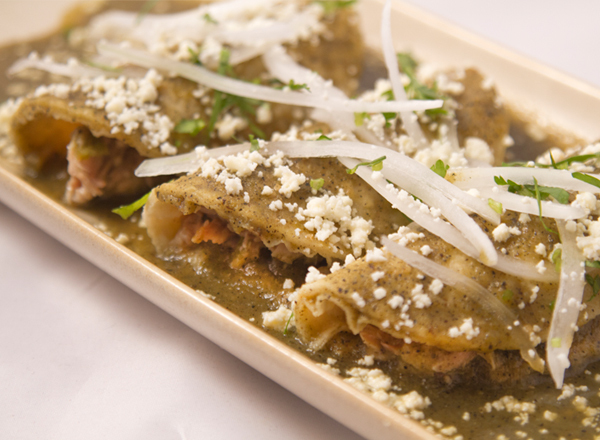 Duck Carnitas Enchiladas Gunthorp duck carnitas, spicy chiles torreados, tangy tomatillo sauce infused with smoky mezcal, homemade fresh cheese. 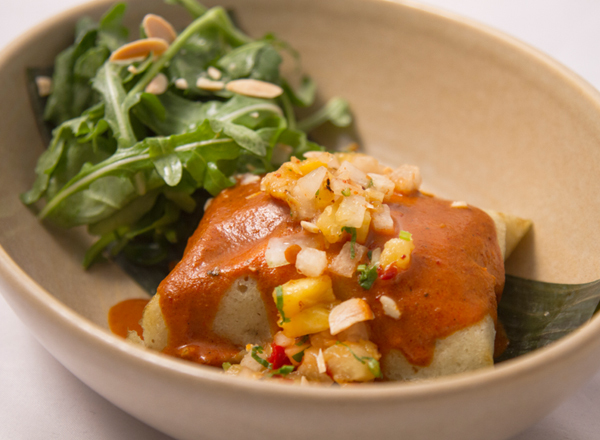 Pork Tamal Banana leaf-steamed fresh corn masa tamal, pork & bacon, manchamanteles mole (ancho chile, almonds, peanuts, pineapple, bread, sweet spices), grilled pineapple salsa, arugula. 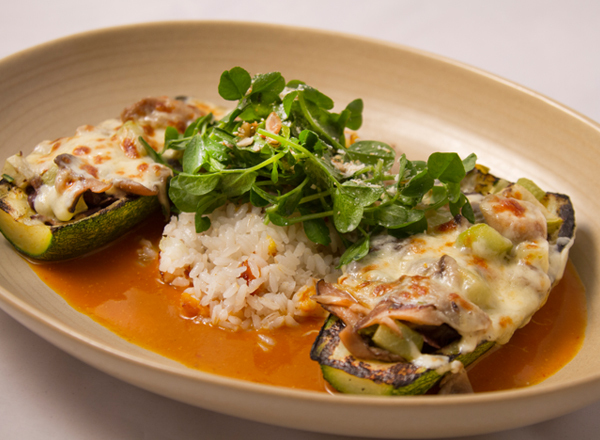 Squash "Rellenos" in Mole de Calabaza Stuffed tatume squash (black beans, mushrooms, chayote) with melted Amish cheese, silky butternut mole (ancho chile, tomato, butternut, cream), plantain studded white rice, Three Sisters' peashoots, cincho cheese. 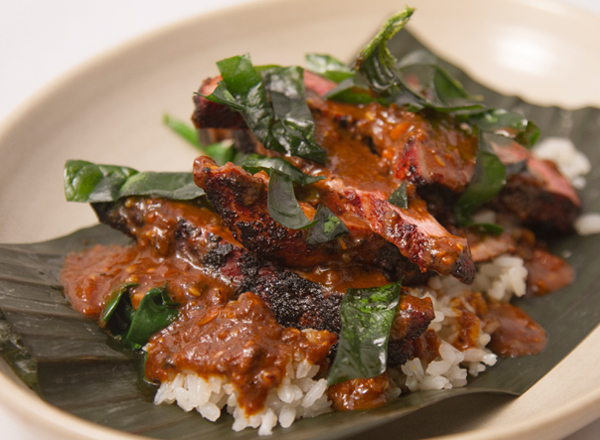 macha, Gulf-style white rice, Snug Haven spinach two ways. 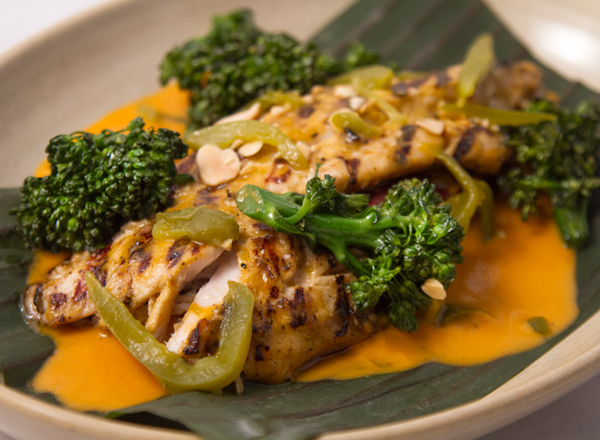 almendrado, roasted Nichols sweet potatoes, grilled baby broccoli. 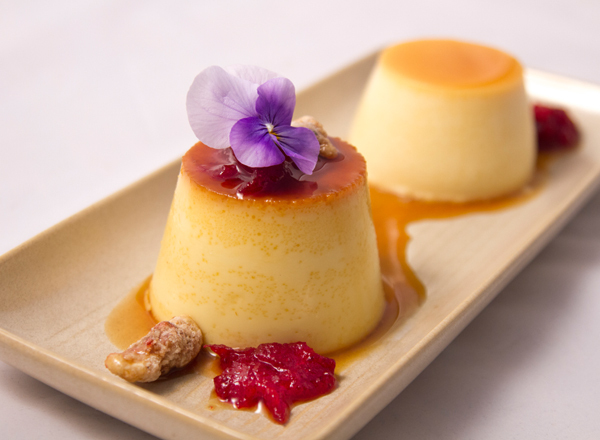 Duo de Flanes Traditional Mexican vanilla flan and orange “creamsicle” flan. Nichol’s Farm cranberry salsa, frosted walnuts. 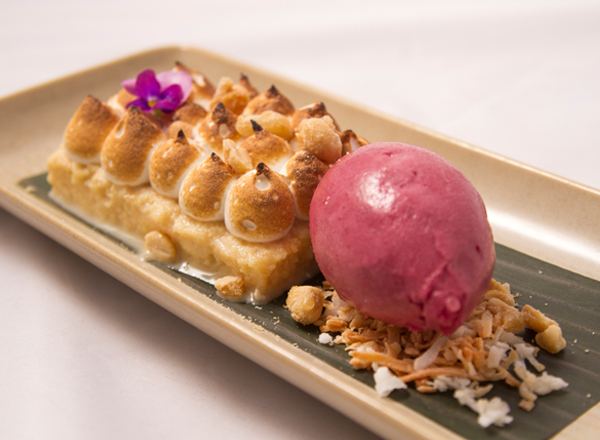 PB&J Tres Leches Peanut butter tres leches cake topped with gooey toasted meringue, Klug Farm Concord grape sorbet, toasted coconut and peanut crunch. 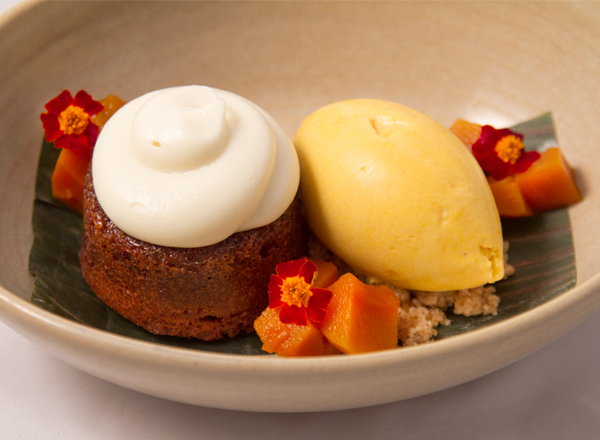 Late Fall Spice Cake Mexican brown sugar spice cake, creamy pumpkin ice cream, Mexican canela crumble and calabaza en tacha (local pumpkin simmered in piloncillo). 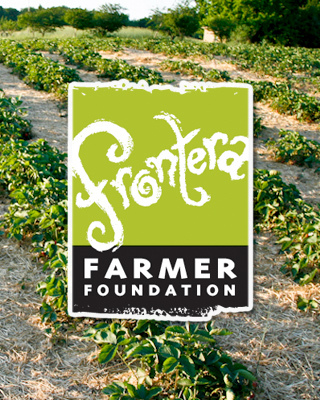 Frontera’s menus always beckon with Mexico’s most alluring flavors. But this month, we went over the top. 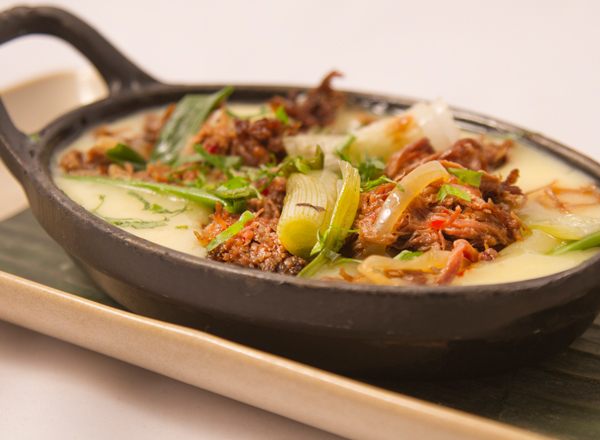 Check out that duck bathed in a nutty, spicy, sweet salsa macha. Check out that striped bass, which has been marinated in jalapeño and paired with mole almendrado. And have you noted the seasonal guacamole? Toasted pecans. Morita chiles. Grilled onions. This one is a game changer. 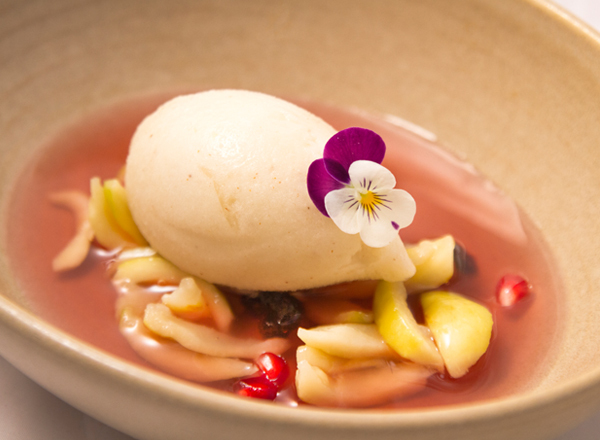 Our sopa de frutas this month is all about apples, which come from our friends at Nichol’s Farm. Our flans are also getting into the cold-weather fruit game—check out that orange creamsicle version. Our tres leches cake, on the hand, doesn’t lean towards winter as much as it does toward childhood. It’s a peanut butter cake with grape sorbet—basically a PB&J. And if you think American PB&Js are good, wait until you try the Mexican one.